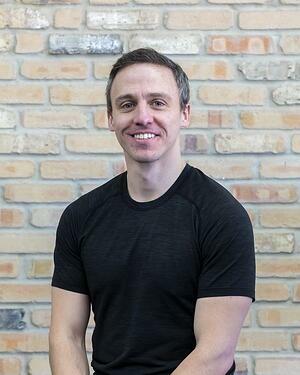 Jason started teaching fitness classes in 2008 during college in Champaign, Illinois. He took a BodyPump class and never looked back. Since that time he has obtained certifications in BodyPump, BodyCombat, Spinning, CXWorx, Boxing, CrossFit Endurance, Aerial Yoga, GRIT, SPRINT and BURN. When Jason is not in the gym you may see him traveling around town discreetly practicing his classes on the train to and from his job as a Business Analyst. When he is not in front of the class, he is a staple in the gym as a participant in other CAC classes. He is constantly inspired by the talent, creativity and passion of his fellow instructors. You can expect a welcoming smile, a few laughs and a lot of high-fives in every one of Jason's classes.